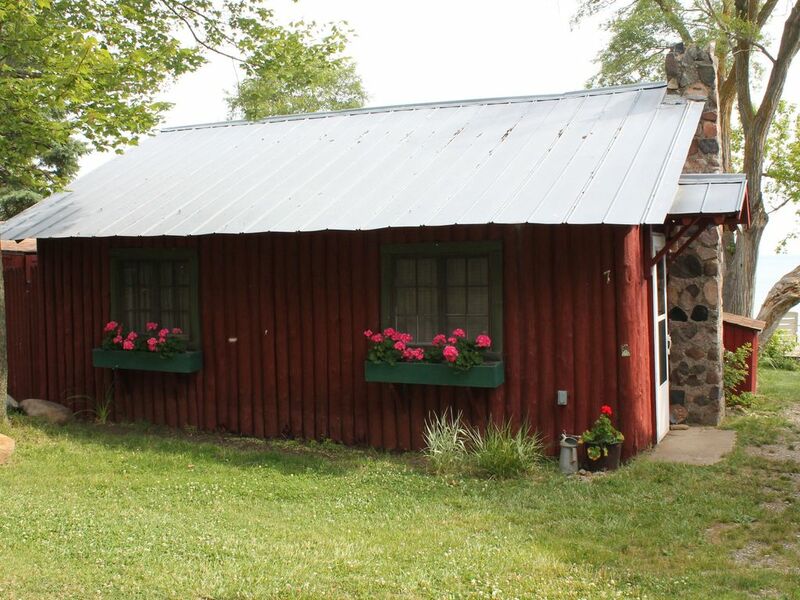 Stay on Lake Huron in this 2 bedroom, 1 bathroom cottage with a kitchen area and a deck overlooking the lake. Sleeps 4 adults maximum. Enjoy the view of passing ships, wildlife and the adjacent Lighthouse Park beach area. This is cabin is a great place to escape to for the weekend. It's extremely cozy and right on the water. You can't go wrong. It's our second year at Lightkeepers Cottage - and we love it! Cozy, calm, comfortable place to stay. The kids enjoyed every minute at the sandy private beach. The landscapes around and the lake are gorgeous. Hoping to return next year. Thank you! The view from cabin 7 was absolutely beautiful. We loved relaxing on the deck with a cup of coffee to start our day. A fire in the evening was a fun way to end it. The cabin was cute and clean. Exactly what we were looking for in a getaway. It was cool to have a lighthouse so close, especially when a large storm rolled in and it went to work with the light from a freighter off in the distance. The hosts were very friendly and helpful. Easy 15-20 minute drive to town for groceries/beach/restaurants. One of my favorite places I have booked on this site. I am hoping to return. We stayed one week in the cottage. It was a wonderful, relaxing time. The cottage is cosy , we have all that we could need. Especially appreciated good free Wi Fi, that permits to stay in touch with urgent work. Our two toddlers particularly love the sandy private beach near the cottages. The lake view is gorgeous, I made wonderful pictures from the deck near our cottage. The owners were gentle and nice and provided us information were to go around. Love the lighthouse park nearby. Generally the place is very calm, beautiful and perfect to relax and to stay away from it all for some days. Hope to return one day! Thank you! This place is quaint and adorable! We fell in love at first site! We will definitely stay here again. My husband and I came for a 3 day weekend and our friends (another couple) joined us on our second day. Cabin 7 was perfect. We met the neighbors in the cabin next door and enjoyed making new friends! Our wonderful hosts, Bryan and Laura greeted us when we got there and showed us around. Kitchen is stocked well. Truly a vintage treat! Location is good! We rented kayaks and went to see Turnip Rock from the water. We also enjoyed The Farm Restaurant and the Farmer's Market. Note: listing showed you had to bring your own linens, but they are provided. Beautiful property right on the lake. Cozy but comfortable for 3 people. The owners are very nice and attentive, helping us get our bonfire started. A bit far away from stores or outings, but that's what I was looking for. I'd stay here again in a heartbeat!